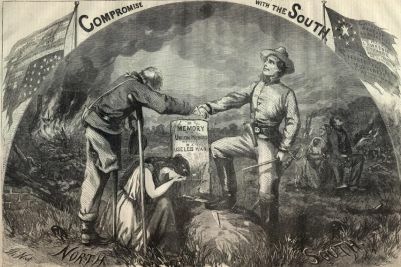 Various peace movements that occurred in the North and South during the Civil War had a strong impact on the political climate of both sections. In the Confederacy, North Carolina produced the largest and most aggressive peace movement, which developed in three phases: a protest against the state draft in March 1862, the establishment of the Peace Party in the summer of 1863, and a convention movement in 1864. "Peace Poster. " Harpers Weekly, September 3, 1864. Available from http://www.sonofthesouth.net/leefoundation/civil-war/1864/september/peace-poster.htm. Accessed May 15, 2012).